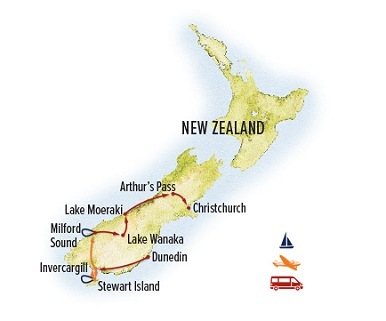 Among travelers who covet spectacular natural scenery, New Zealand is legendary. It’s no wonder this mythical-looking land of pointed peaks and sheer rock walls, high waterfalls and drifting mists was chosen as one of the primary settings for the film adaptation of J.R.R. Tolkien’s “The Fellowship of the Ring”. This adventure focuses on the South Island, whose rugged coastline encompasses a land of topographic extremes, from seaside rain forests and deep blue lakes to jagged peaks, active glaciers and icy fjords. On this dramatic journey that winds from alpine heights to Pacific shores, you’ll be immersed in nature at its showiest. Search for wildlife on guided rain forest hikes, paddle a mountain lake, and stargaze under some of Earth’s darkest skies. This 12-day itinerary begins in Historic Dunedin, which boomed during a series of gold rushes in the 19th century and was once the largest metropolis in New Zealand. 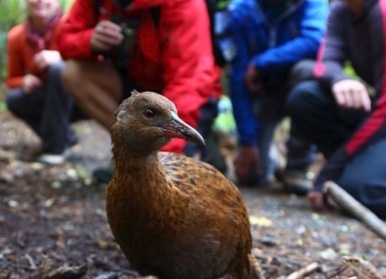 Enjoy an exclusive stay on wild, rarely visited Stewart Island: take a nature walk with an esteemed local naturalist and travel aboard a private boat to see breeding seabirds. Cruise fabled Milford Sound, where mists weave through fjords carved by glaciers and waterfalls plummet in silver ribbons from steep peaks above. 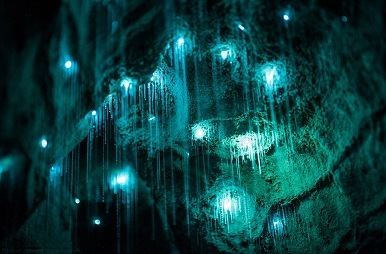 Located away from light pollution near the International Dark Sky Reserve, we’ll take advantage of Lake Moeraki’s cover of darkness during a night walk that includes a star talk as well as a chance to look for glowworms, whose bioluminescent pearl strands dangle from the trees. After exploring two World heritage Site National Parks the adventure arrives in Christchurch, New Zealand’s oldest city, which is noted for its British character and Victorian architecture. 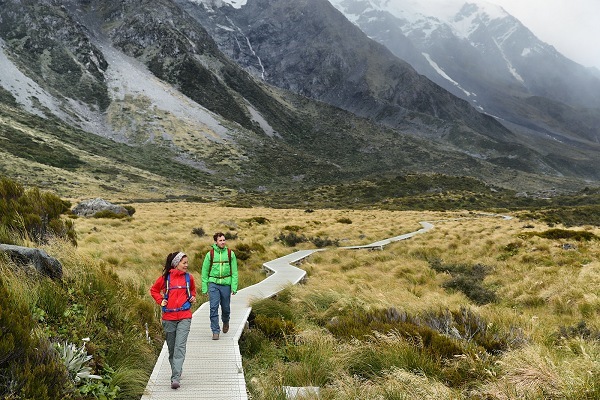 Our partner, Natural Habitat Adventures, was named The World’s #1 Adventure Travel Outfitter, and all of their journeys have been planned in conjunction with the World Wildlife Fund to include access to private wildlife reserves, remote corners of national parks (away from tourist crowds), and distinctive lodges and camps situated where wildlife viewing is best. 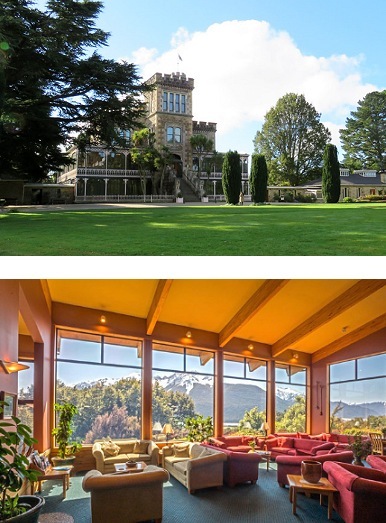 Larnach Castle, situated on thirty-five acres of surrounding gardens and grounds idyllic for walking, with expansive views over the peninsula and the ocean beyond. Wilderness Lodge Lake Moeraki, in the heart of the South West New Zealand World Heritage Area, where activities include kayaking excursions on Lake Moeraki, and guided fishing for brown trout. Wilderness Lodge Arthur’s Pass, surrounded by 4,000 acres of a conservation reserve in the Southern Alps, this contemporary lodge was designed to offer panoramic mountain views from every window. The George Hotel, one of the “Small Luxury Hotels of the World” is a stylish and elegant property overlooking picturesque Hagley Park and the River Avon in Christchurch. It sits just steps from the cultural district and the city’s main attractions. This excursion represents one of the most exclusive offers we have presented to our readers. The price which includes all accomodations, airfare within New Zealand, services of Nat Hab’s professional Expedition Leader(s), local guides and lodge staff, all meals from dinner on Day 1 through breakfast on final day, some alcoholic beverages, most gratuities, airport transfers on Day 1 and final day, all activities and entrance fees, all taxes, permits and service fees…starts at $10,959 pp, based on double occupancy.